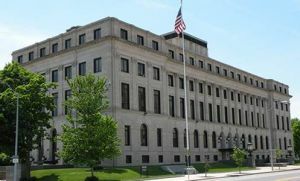 Welcome to the official website for the United States District Court for the Southern District of Iowa. We have offices in Des Moines, Davenport, and Council Bluffs. Hours, directions and maps are in our Court Locations area. The U.S. Court of Appeals for the Eighth Circuit is accepting applications from all qualified persons for the position of Federal Public Defender for the Northern And Southern Districts of Iowa headquartered in Des Moines. The Federal Public Defender for the Northern and Southern Districts of Iowa is accepting applications for the position of Assistant Federal Public Defender, to be stationed in the Sioux City office. 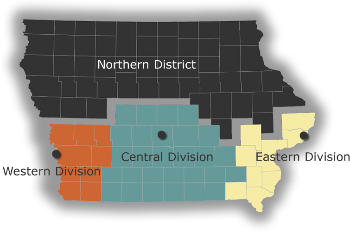 The Southern District of Iowa is accepting applications for an IT Technician Intern. For full information, please see the announcement below.